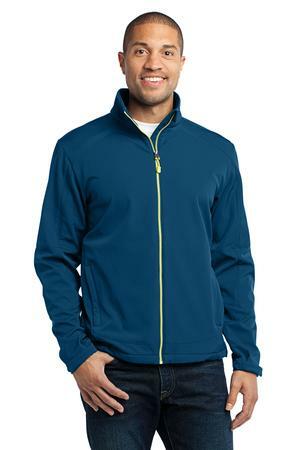 The Port Authority Traverse Soft Shell Jacket Style J316 is available in L-4XL and comes in your choice of the following colors: Black/Deep Grey and Poseidon Blue/Lime Green. The Port Authority Traverse Soft Shell Jacket Style J316 is available in XS-4XL and comes in your choice of the following colors: Black/Deep Grey and Poseidon Blue/Lime Green. A water-resistant shell joins a warm microfleece lining to keep you comfortable through wind and rain. Color at the zippers give the Traverse a fresh spin on this classic soft shell. Be the first to review “Port Authority Traverse Soft Shell Jacket Style J316” Click here to cancel reply.